With Newspaper, you can let your creativity flow and play with the vast array of customization options. How about adding a nice icon in menu? You can choose where to place it, either in the Main or Top menu. To do this, follow the detailed instructions below. Step 1 – Go to the WordPress Dashboard area. From the Plugins tab -> Add new, install the Font Awesome 4 Menus plugin. Step 2 – To preview all the available Font Awesome icons, go here. Click on the icon that you like and want to use. Afterwards, copy the icon’s code and save it for use in the next step. Step 3 – In the Dashboard area, go to Appearance -> Menus tab. 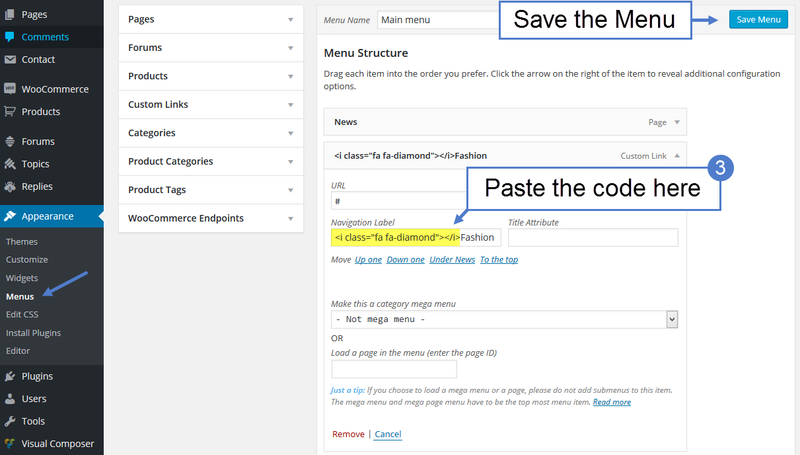 Select the menu that you want to edit and paste the previously saved icon’s code in the Navigation Label cassette. Now click on the Save Menu button. 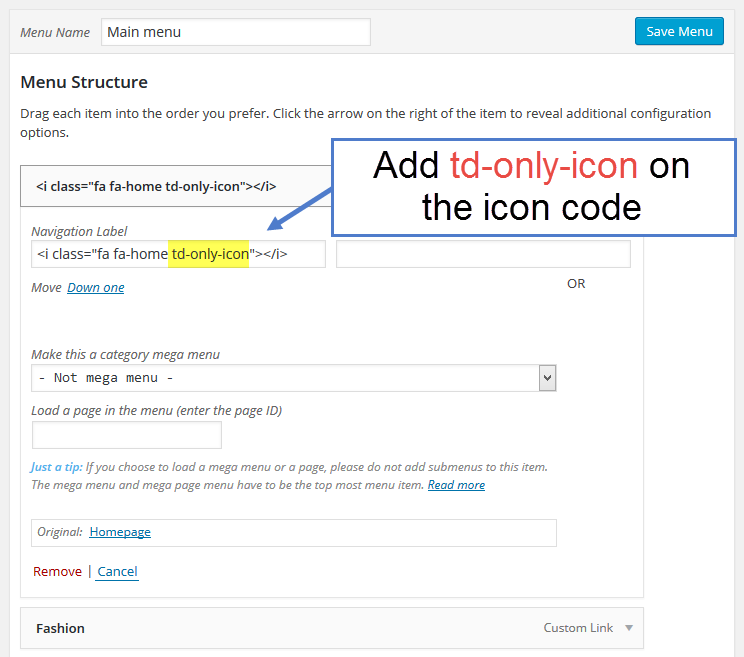 Step 4 – If you want to add only one icon in menu (without text), add the td-only-icon class to the icon code for a better alignment. Now that you know how to create this, start experimenting with the settings. The Newspaper WordPress theme lets you customize every little detail of your page, like the icon menu, so you can enhance the website’s design.